Dr.Weiseman was extremely nice and considerate. Stood behind my decision in receiving surgery and assured that if I considered the surgery then all will be well. Gave me lots of confidence to plan out my next step. He is just great in every respect. Really cares about his patients. *Dr. Weisman was great. He talked me through the procedure and was very caring. The doctor was friendly and took the time to listen to my concerns. He was very knowledgeable and answered all of my concerns. He gave me a few options on how to treat my issue. Great I have told four people to come see *Doctor Weisman and _____ great he is they love him as much as I do. I have recommended this doctor to many of my friends. 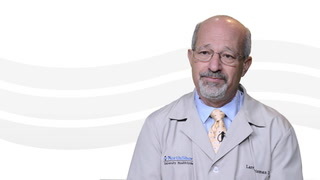 I had a great experience with Dr. Weisman and will recommend him to others! Overall a very good experience. Visit with the doctor was a bit brief, but that's what keeps appointments on time.